There are 16 species of fish present in Puslinch Lake; with some of them being introduced. 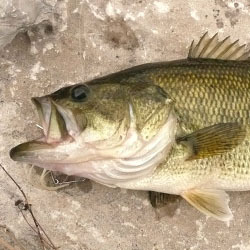 One of the most abundant fish in Puslinch Lake is the Largemouth Bass. The bass are literally everywhere in the lake and are readily caught fishing with spinnerbaits and stick baits in the shallows. Early morning is the best time to catch bass, with top water lures being most effective. At one time muskellunge were stocked by the Department of Lands and Forests between 1953 and 1955, although today this fish is now assumed extinct in the lake. The last known muskellunge catch from Puslinch Lake was in the early 1970's. Smallmouth bass where also stocked by the Department of Lands and Forests between 1947 and 1964, although today smallmouth catches are considered rare in Puslinch Lake. The most sought after fish in the lake is the walleye. The walleye have been stocked on and off for many years, as early as the late 1940's and as recent as 1997 by the Puslinch Lake Conservation Authority. Recent studies conducted by the ONMR indicated successful natural reproduction of walleye in the lake. Generally the Puslinch Lake walleye are on the smaller size, about 1 lb. Most anglers concentrate their fishing efforts in the deeper sections of the lake as well as around the shoals. Fishing with worms on the bottom or trolling with worm harnesses especially in the evening hours produce the best catches. 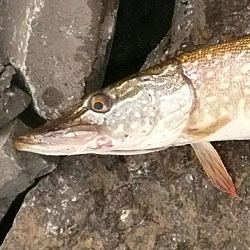 The northern pike population in Puslinch Lake is thought to be the result of an inadvertent introduction in the 1950's. The pike are now quite established in this water body are commonly caught. Although most pike are on the smaller size 1 lb, some larger pike in the 5 lb plus range are caught annually. Pike fishing is best in the shallows, especially in the spring. Spinnerbaits in dark colours can be very effective. Black Crappie also inhabit Puslinch Lake. They were stocked in 1957, although it is unknown if the existing population is a result of this stocking or a naturally occurring population. Puslinch Lake crappie are most commonly caught in the spring, fishing small jigs under floats. Trolling with small spinners tipped with worms can produce some nice crappie as well as the bonus walleye on occasion. Of interest, Puslinch Lake supports a population of banded killifish, which is one of only a few known populations in the entire Grand River watershed. Puslinch Lake is located in Wellington County, just northeast of the City of Cambridge, Ontario, and is the largest kettle lake in North America. The surface area of the lake is approximately 156 ha, and 2.012 km by .805 km. The lake is relatively shallow, most of it being less than 2 m in depth; the maximum depth is approximately 5.5 m (The deepest area only represents 0.4%, thus yielding a rather shallow mean depth of only 1.4 m). There are five islands on the lake, the biggest of which measures 2.4ha. There are a few shoals and one main deep area located off McCormick's Point. The Puslinch Lake - Irish Creek Wetland, is adjacent to the lake, and is a provincially significant wetland area. There are no permanent inflow streams into the lake, and the lake is normally fed seasonally by a combination of local surface runoff and underwater springs. There are no predominate outflows on the lake, with the exception of several small streams discharging into Mud Bay. Although, during high water conditions, the lake discharges into Puslinch Lake Creek. a tributary of Irish Creek. Irish Creek discharges into the Speed River, which is part of the Grand River drainage basin. A dam on Irish Creek near its mouth prevents the upstream migration of fish from the Speed River into Puslinch Lake. There is a channel connecting Puslinch Lake to Little Lake, located to the northeast. However, it is devoid of moving water, except for high water conditions. Each detailed map provides depth, contours, structure, boat ramps, and updated fishing information. 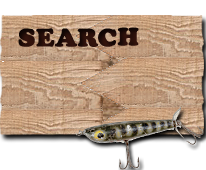 Puslinch Lake fishing maps also include lake info such as gamefish abundance, forage base, water clarity, weedline depth, bottom composition, complete latitude/longitude grid lines and dozens of GPS waypoints & coordinates.